The world is concerned as relations between two nuclear powers, i.e., India and Pakistan, are deteriorating. Pakistan, which has launched a low-intensity war against India, constantly infiltrates terrorists into India and threatens to use nuclear warheads if a war occurs. Pakistan, which was created on the basis of a two nation theory, still harbours enmity and suspicion against India. The civilian government of Pakistan may like to have friendly relations with India, but the all-powerful Pakistani army, which survives on the hypothesis of danger from India, does not allow the civilian government to have cordial relations. There are several outstanding issues between both countries, and it is very difficult to sort them out in one go. Nonetheless, both countries should make sincere efforts first to resolve less important issues and then slowly to try to sort out major issues, including the Kashmir problem. All issues can be sorted out bilaterally without interference of any other country, including the United Nations. There is a need to start negotiations and enhance direct trade between India and Pakistan. Pakistan should also understand that India is powerful and no other country will come to help in case of war and the next war may be catastrophic for its existence. 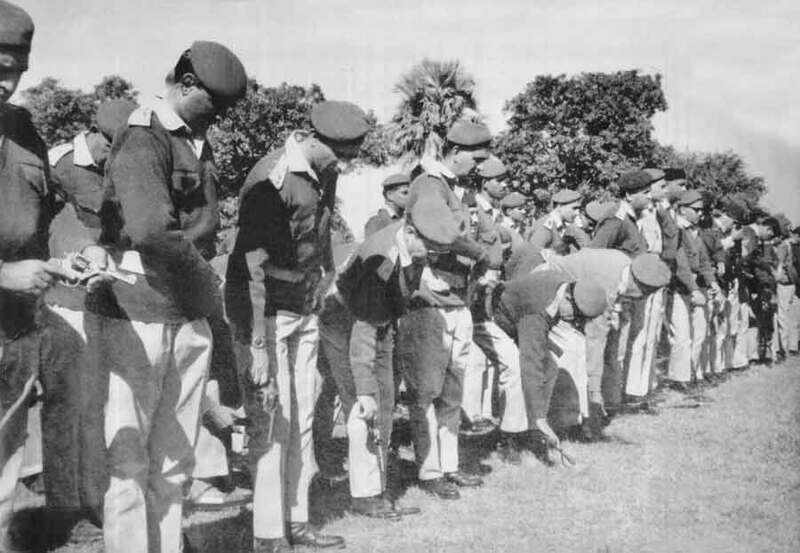 1971 War: Dhaka or Bust? 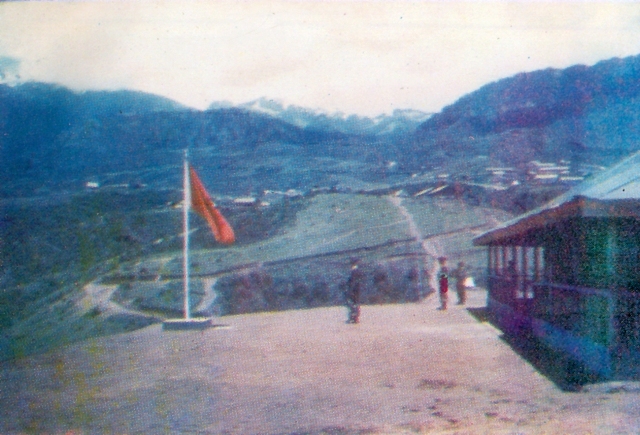 1971 war was the finest hour of Indian Army. In a quick, decisive, well planned & well executed campaign, Indian Army carved out a new nation on the face of earth – Bangladesh. It was a remarkable campaign when different departments of Indian Govt. – Armed Forces, Defense Ministry, External Affairs Ministry, Home Ministry, Finance Ministry, Indian Railways, RAW etc worked like well oiled machine to surprise the world with what it achieved in just 12 days. Indian Army was led by Field Marshal S.H.F.J. Manekshaw who had Lt. Gen. Jagjit Singh Aurora as Eastern Army commander & Lt. Gen. JFR Jacob was the ‘Chief of Staff’ (COS) of Eastern Command. Gen Jacob claims that it was actually he who insisted that Dhaka must be the final objective & he made final move to capture Dakha. 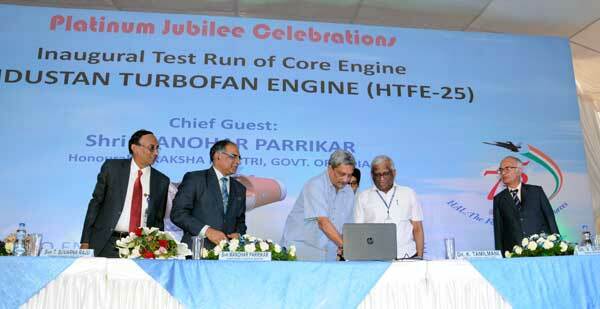 The inaugural run of the core of 25 kN indigenous Aero Engine (Hindustan Turbo Fan Engine – HTFE 25), was successfully completed in the presence of Defence Minister, Mr. Manohar Parrikar at HAL’s Engine Division here today. He also launched the design and development project of Hindustan Turbo Shaft Engine (HTSE-1200) which can be used for helicopters. 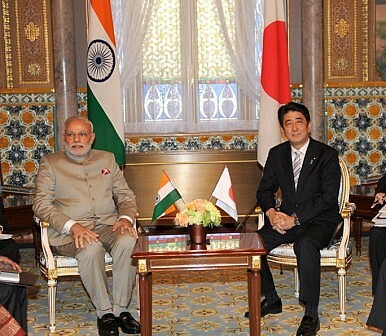 Japanese Prime Minister Shinzo Abe met with Indian Prime Minister Narendra Modi on December 12. As Abe concluded his short two-day visit to India the end of their meeting, the two leaders issued Japan-India Vision 2025 Special Strategic and Global Partnership. In this document, Abe and Modi agreed on expanding bilateral cooperation in a wide range of issues from investment, disaster risk management, and people-to-people exchange. They also acknowledged that stability of the Indo-Pacific region to be “indispensable” to their respective national security and prosperity, calling for a more robust cooperation in security issues. The Japan-India relationship is among the core relationships that Abe has focused on since he served prime minister for the first time, from 2006-2007. In fact, shortly after Abe returned to power in December 2012, he contributed an important commentary to Project Syndicate on December 27, 2012. In this commentary, he introduced the “Diamond Concept (daiyamondo kousou), in which he envisioned that the United States, Japan, Australia, and India would form a virtual security “diamond” and work together to maintain the peace and stability of the Indo-Pacific region. While India's government has been trying to secure this rapidly growing Internet populace, they seeem to not be doing a great job. It is a good time for Digital India, The Prime Minister's programme to get as many people connected as possible to empower them has been a big success and people are connecting to the Internet for the first time while you are reading this. With the increased penetration of technology and the Internet integrating into the infrastructure and lives of people, the cybersecurity threat was never bigger. While India's government has been trying to secure this rapidly growing Internet populace, they seeem to not be doing a great job. "I was the founding CEO of NATGRID. My role was to conceive the organisation design, solution blueprint, solution architecture and creation of India's first hybrid organisation, where the government and private sector would be workings shoulder to shoulder, getting the buy-in from the stakeholders and managing the environment." said Ex-CEO of National Intelligence Grid (NATGRID) Raghu Raman. "Technology has changed the doctrines and made our conventional superiority less if not totally irrelevant." 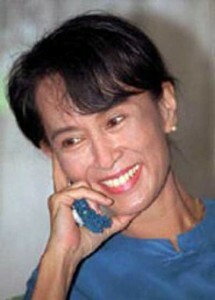 To be fair to the outgoing semi-civilian government, a largely free and fair election could be held because the people wanted it that way, and, more importantly, because the Thein Sein-led regime in Naypyitaw set the democracy ball rolling in 2011 by allowing Suu Kyi and her party to contest the 2012 by-elections that the NLD swept. What the TPP Does Helps America. What it Doesn’t Helps China. Pro, con or undecided, all can agree that the Trans-Pacific Partnership (TPP) is a bear. Its size, complexity and the extreme likelihood that it will yield a host of unintended consequences make any singular assessment simply impossible. The agreement neglects enough to tempt an outright rejection. At the same time, the geopolitical advantages make it hard to dismiss—and it does do something to support the liberal international economic order on which America’s prosperity rests, its global influence depends, and with which its fundamental national interest has long identified. Here are some of the good, the bad and the muddled. 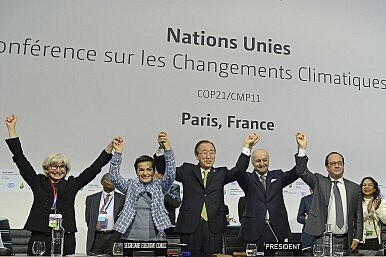 On Saturday, 195 countries approved a landmark deal committing the world to limit a rise in global temperatures to 2 degrees Celsius – with the more ambitious target of 1.5 C. UN President Ban Ki-moon praised the “truly universal agreement on climate change” as a “historic moment,” language that would be echoed around the world. Plans for emissions cuts already presented to the UN by 186 national governments will only get the world halfway to the goal of capping global warming at 2 C – which is why the Paris agreement calls for upgraded commitments every five years. Countries will also be required to monitor and report how they are doing in implementing their commitments to emissions cuts. 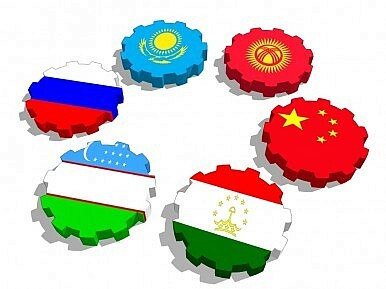 Economic cooperation is at the forefront of discussions in Zhengzhou, China between the Prime Ministers and representatives of the Shanghai Cooperation Organization (SCO) member countries. Terrorism, as usual, is also high on the agenda. The annual SCO heads of government meeting is being hosted by Chinese Prime Minister Li Keqiang. Among the attendees are the Russian, Kazakh, Kyrgyz and Tajik Prime Ministers–Dmitry Medvedev, Karim Massimov,Temir Sariev, and Kokhir Rasulzoda, respectively–and the Uzbek First Deputy Prime Minister, Rustam Azimov. Also in attendance are the Pakistani Prime Minister, Nawaz Sharif, Indian Minister of State for External Affairs, General V K Singh, and Afghanistan’s CEO Abdullah Abdullah, along with representatives from other SCO observers Belarus, Iran, and Mongolia. The White House also has been pressing the intelligence community to continue studying the facilities for a deeper understanding of how the Islamic State and its media enterprises operate, the sources said. In response to the “ISIS day of trolling”, the ISIS-affiliated Islamic Cyber Army (ICA) have reportedly released the personal information of some 160 U.S. military personnel. The personal information released included full names, addresses, phone numbers, and emails of numerous high-ranking U.S. and French military officials. It came on a day that Anonymous, a loosely affiliated hacktivist collective, had designated an online “trolling day” against the Islamist fundamentalist group. According to reports from Maryland-based SITE Intelligence Group, social media accounts tied to the pro-IS (Daesh) hacking group, Cyber Caliphate, leaked names and addresses of enlisted US Army and Marines on December 11 and claimed to possess information on 700 more military personnel. Previously, the ICA had released a statement calling Anonymous “idiots” for its declaration of war against the Islamic State. The Homestead Act of 1862 is one of America’s best-known and beloved laws. By giving away federal land for free to anyone who settled and cultivated it, the act enshrined the governing principle of the newly ascendant Republican Party: government should act to help the average man help himself build a better life. Together with the Land Grant College Act and the Pacific Railroad Acts, the Homestead Act placed the federal government squarely on the side of the average American in his or her quest to live in comfort and with dignity. The American national political elite is increasingly vexed, it seems, by Russia and especially its president, Vladimir Putin. Consider the challenge to “fight Putin any time, any place he can’t have me arrested,” issued on social media by Benjamin Wittes, a Senior Fellow in Governance Studies at the Brookings Institution in Washington, D.C., and a black belt in taekwondo. Putin excelled at judo in his youth and is sometimes photographed these days in a white judogi uniform, but Wittes, as he tweeted back in August, said that Russia’s leader is “a fake martial artist. I can take him any time.” It would be easy to dismiss this as theatrics in the service of mockery—except that the State Department’s highest-ranking official on human rights, Assistant Secretary Tom Malinowski, has shared the “fight Putin” challenge on his Facebook page, and both former U.S. ambassador to Russia Michael McFaul and State’s former policy-planning chief, Anne-Marie Slaughter, have promoted the invitation on Twitter. Soon enough the Senior Fellow in Governance Studies was expounding, over the course of a nearly ten-minute interview on NPR’sHere & Now program, about how Putin’s displays of “hypermasculinity” are directly linked to how he “menaces his neighbors” in countries like Ukraine. 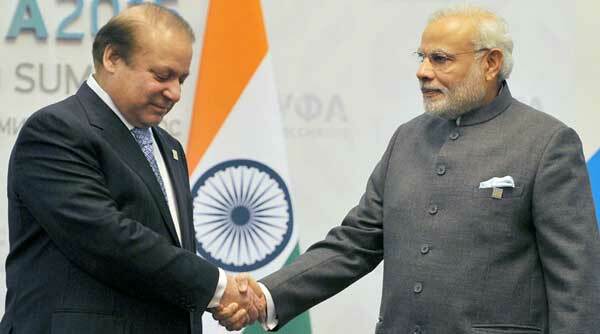 After a much-discussed handshake in Paris on 30 November between the Indian Prime Minister Narendra Modi and his Pakistani counterpart Nawaz Sharif, it appears that both countries have made a well-calculated beginning to resume their stalled bilateral dialogue. Accordingly, on 6 December, the National Security Advisors (NSAs) of the two countries- Ajit Doval and Lt. Gen. (R) Naseer Khan Janjua met in Bangkok for four hours, exciting prospects of a thaw in the tortured bilateral. This is a change from India’s one-point anti-terrorism agenda with Pakistan. In terms of the security challenges, the situation on the ground has not changed much. Anti-India terrorist groups in Pakistan persist in their activities including planning for a spectacular attack in India as was revealed over the weekend, while the Indian Army continues to intercept groups of militants attempting to sneak in the Kashmir Valley from Pakistan-occupied Kashmir. But the Modi government’s willingness to engage one more time with Pakistan, despite these threats, indicates that it is disposed to looking beyond the ISI’s ‘deep state’ India strategy, to a broader view of the Pakistani establishment. We look into the future and forecast what the world will look like in a quarter of a century. We predict several disruptions in the global structure by 2040 and conclude that much of the instability over the next 25 years will be focused in the European and Asian continents. It is the season of lists: best movies, best books and on and on. Since I teach and write on globalization and international political economy, I thought I would continue a tradition I started several years ago of creating a different type of list: a geo-political-economic list -- a list of globalization's top five trends for the year. Why only five? Because I am only giving an overview, a macro look at how globalization is shaping America and the world. More than five and the list would tend to become less of an overview and more of a detailed analysis. Several, if not all, operations currently rely on the electromagnetic spectrum, which is why the military is placing greater importance on electronic warfare. Countries such as China and Russia have beenhoning advanced capabilities, such as the ability to jam GPS and other signals, within this sphere. The United States, meanwhile, has largely neglected EW, spending the last 14 years focused on the mostly uncontested spectrum environments in the Middle East, as several military officials have recently noted. Hollywood has a clear idea of what it would look like if someone used cyber-capabilities against us: a man in a room full of screens would be typing madly, planes would fall out of the sky, there would be explosions everywhere, and so forth. According to Director of National Intelligence, James Clapper, that’s not likely to happen anytime soon. In a recent Congressional hearing, Clapper said “the likelihood of a catastrophic attack from any particular actor is remote at this time.” However, the reality is that cyber-weapons do exist, raising questions that have bearing on both defense and industry. Why does China appear to be backing down to U.S. pressure on cyber-espionage? National security and cyber-warfare analysts have reacted with skepticism and surprise to China’s apparent receptivity to recent U.S. criticism over its cyber-espionage practices. 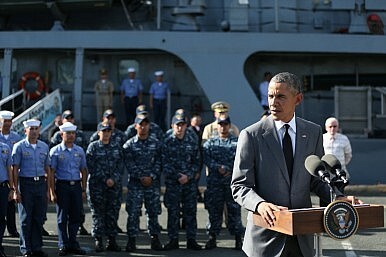 Why have seemingly tepid U.S. actions had such an impact? This may be the wrong question. 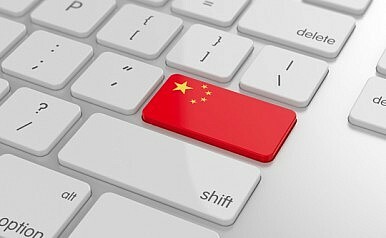 There’s a way of thinking about this question that rests less on the idea that the United States intimidated China (and consequently wonders why China felt intimidated), and more on the possibility that states are still finding their way in the cyber-realm, that the norms of cyber-conflict remain plastic, and that restraint may carry the day. In a world where terrorists recruit on the Internet and Russian President Vladimir Putin weaponizes “news” on his propaganda television channel, what role should the United States play in the new world of information warfare? It is clear that America cannot prevail with hard power alone, yet since the closing of the U.S. Information Agency (USIA) back in 1999, America’s capacity to participate in the global battle of ideas has declined, even as the information challenges continue to grow and change. Both of the areas USIA used to oversee — public diplomacy and international broadcasting — urgently need renewed focus and resources. Everything you need to know about encryption: Hint, you’re already using it. A lock icon, signifying an encrypted Internet connection, is seen on an Internet Explorer browser in a file photo illustration. Congratulations! If you are reading this on The Washington Post website right now, you're using encryption — or at least your browser is. The little lock that probably shows up in the URL bar of your browser highlights that our site deploys HTTPS, a process that creates a sort of digital tunnel between you and our website. That encrypted tunnel helps protect you from governments, Internet service providers, your employers, or even the nefarious hackers who might want to spy on or even hijack your Web browsing while they lurk on the WiFi at your local coffee shop. FBI Director James Comey on Wednesday called for tech companies currently offering end-to-end encryption to reconsider their business model, and instead adopt encryption techniques that allow them to intercept and turn over communications to law enforcement when necessary. End-to-end encryption, which is the state of the art in providing secure communications on the internet, has become increasingly common and desirable in the wake of NSA whistleblower Edward Snowden’s revelations about mass surveillance by the government. Comey had previously argued that tech companies could somehow come up with a “solution” that allowed for government access but didn’t weaken security. Tech experts called this a “magic pony” and mocked him for his naivete. Many men, as they age, start to worry about gray hairs. America’s military men, however, worry about gray wars. Gray wars are, as the former commander of U.S. Special Operations Command noted, wars in which groups or entities “seek to secure their objectives while minimizing the scope and scale of actual combat.” These wars and geopolitical conflicts, ranging from the Russian annexation of Crimea and its continued aggression in Ukraine to Boko Haram’s reign of terror in Nigeria, require allegedly new means of training, organization, and doctrine. There’s only one problem: The “gray wars” concept lacks even the most basic strategic sense. Like the book and movie 50 Shades of Grey, the gray wars concept grossly over-exaggerates its own transgressions from the norm. Beneath the hype is something rather ooh-la-lame rather than ooh-la-la. This month, the Philippines is receiving 114 armored vehicles from its ally the United States as the Southeast Asian state seeks to modernize its military. According to a statement by the U.S. embassy in Manila, the U.S. government transferred 77 units of M113A2 Armored Personnel Carriers (APCs) to the Armed Forces of the Philippines (AFP) on December 9. A second shipment with the remaining units was scheduled to arrive later in the month. The APCs are being transferred via the Excess Defense Article (EDA) program, which grants excess military equipment from the United States without cost to qualified allied countries. Manila did have to pay 67.5 million pesos ($1.4 million) to cover transport costs, however. The United States and India are on the cusp of realizing their ambition to entrench meaningful defense cooperation despite the absence of a formal alliance. Without a doubt, deepening defense relations have led the transformation in bilateral ties between the United States and India during the last fifteen-odd years. Whether one examines military-to-military exchanges, defense trade, cooperative development of defense technologies, or defense industrial investment, the picture in 2015 is so far removed from where things stood in 2001 as to defy comparison. Obviously, the record of achievement is more dramatic in some fields than in others, but on balance, both countries today are more deeply engaged in diverse forms of defense cooperation—the highest manifestation of friendship in high politics—than is common for states that do not share a formal alliance. The meetings on December 10 between the U.S. Secretary of Defense Ashton Carter and Indian Minister of Defense Manohar Parrikar will be counted as successful if they provide new direction to this already-burgeoning partnership. In particular, if the U.S. aim of accelerating India’s rise in power is to be accomplished rapidly in a way that benefits both nations, then the practical ends of bilateral defense cooperation must transcend interoperability and enable India to secure a lasting operational advantage over its local competitors. To the degree that U.S.-Indian defense cooperation evolves in this direction, it will have had a positive and durable impact on the strategic fortunes of both democracies as they navigate the evolving geopolitical challenges in Asia.